If you were standing here in the 1930s, you might have heard and seen a passenger aircraft taking off for Paris just a little to the east. The area behind the Tesco store was Cardiff’s first international airport. Some of the hangars, near Seawall Road, are now used for light industry. Cardiff-born aviation pioneer Ernest Willows (1886-1926) established a private aerodrome at Tremorfa in 1905. He experimented with airships, one of which he flew to Paris in 1910. He died when one of his airships crashed. In 1937, 614 (County of Glamorgan) Squadron was formed here, as part of the Royal Auxiliary Air Force. The airport was taken over by the military for the duration of the the Second World War, during which it played an important role in dismantling and repairing fighter planes for shipping to areas where they were required. Infrastructure upgrades included replacing the grass runway with a concrete one. 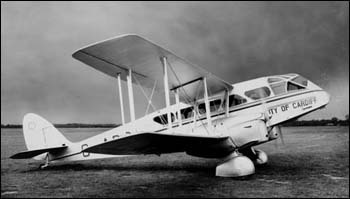 After the war, the airport reverted to civilian use but the runway soon proved to be too short for the larger aircraft then entering service, and there was little space to extend it. 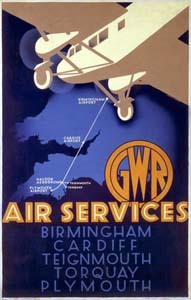 In 1954 flights were transferred to Cardiff’s new commercial airport at Rhoose, west of Barry. East of here, the Wales Coast Path follows the approximate location of the airport’s perimeter as it parallels Rover Way. This is named after the Rover car factory which occupied part of the former airport from the 1960s to 1984.